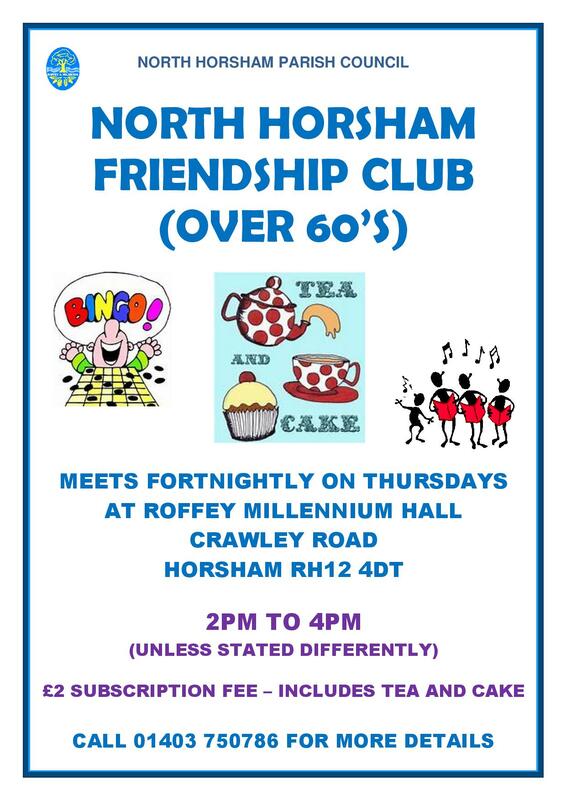 The North Horsham Friendship Club usually meets every two weeks on a Thursday afternoon from 2pm to 4pm at the Roffey Millennium Hall, Crawley Road. 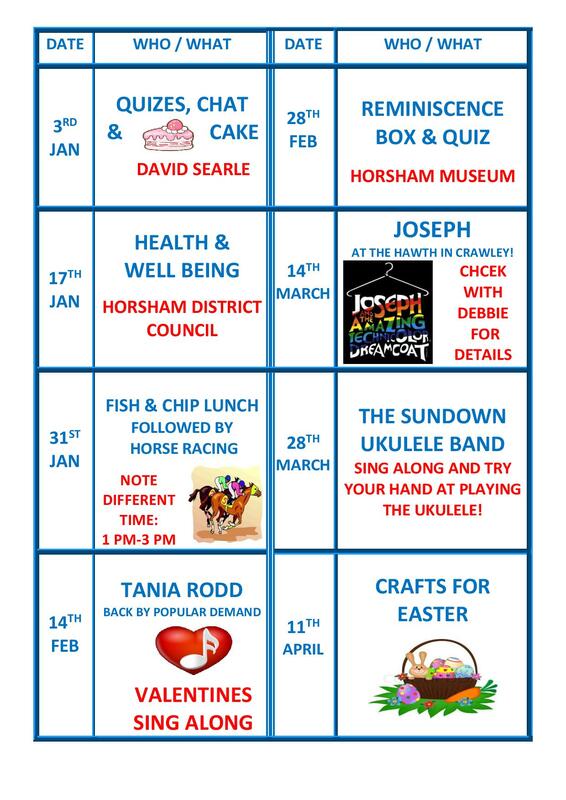 It is aimed at local residents over 60 years of age who would like to meet up with others for a cup of tea and activities including entertainers, bingo, quizzes and talks. There are occasional outings to local places of interest. There is a subscription of £2 per session (unless stated differently) to cover the cost of tea and cake. The Group welcomes all comers, offering an opportunity to make new friendships. For more information please contact the Parish Council Office on 01403-750786.